The Oppo F3 is a more affordable version of the F3 Plus and features the same dual camera selfie setup as its more expensive sibling. The body is plastic this time around but the phone does get a metal backplate. The 5.5-inch full-HD display makes this phone's size manageable, compared to the F3 Plus. The phone is powered by a MediaTek MT6750T SoC, a slightly faster version of the SoC found in the old Oppo F1s. Other specifications are better like 4GB RAM and 64GB of storage. App and UI performance is good and the phone doesn’t overheat. The 8-megapixel front camera offers a wide field of view to but also introduces some barrel distortion. Overall, the cameras are good but don’t fare to well in low-light. Finally, the 3200mAh battery does offer all-day battery life but fast charging isn't supported. 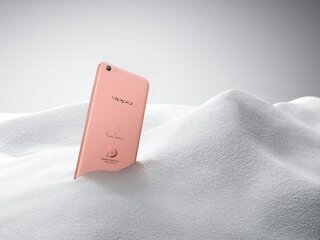 Oppo F3 smartphone was launched in May 2017. The phone comes with a 5.50-inch touchscreen display with a resolution of 1080x1920 pixels at a pixel density of 401 pixels per inch (ppi) and an aspect ratio of 16:9. Oppo F3 is powered by an octa-core MediaTek MT6750T processor that features 4 cores clocked at 1.5GHz and 4 cores clocked at 1GHz. It comes with 4GB of RAM. The Oppo F3 runs Android 6.0 and is powered by a 3,200mAh non-removable battery. 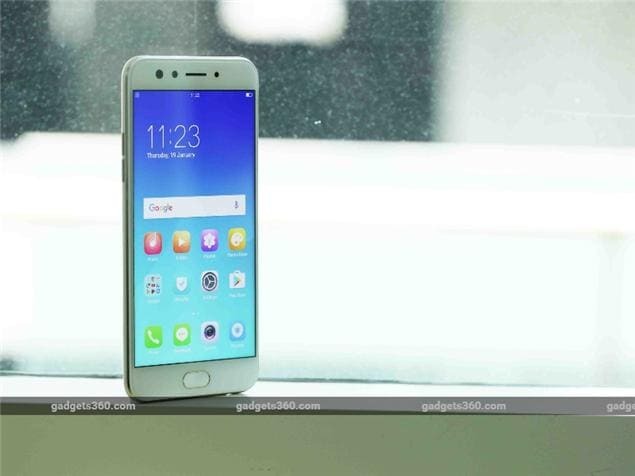 As far as the cameras are concerned, the Oppo F3 on the rear packs a 13-megapixel camera with an f/2.2 aperture and a pixel size of 1.12-micron. The rear camera setup has phase detection autofocus. 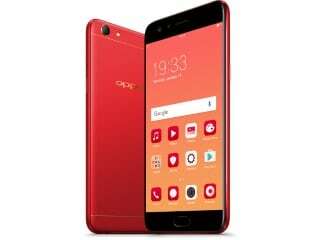 On the front, the Oppo F3 packs a 16-megapixel primary camera with an f/2.0 aperture and a second 8-megapixel camera with an f/2.4 aperture. The Oppo F3 runs ColorOS 3.0 based on Android 6.0 and packs 64GB of inbuilt storage that can be expanded via microSD card (up to 128GB). The Oppo F3 is a dual-SIM (GSM and GSM) smartphone that accepts Nano-SIM and Nano-SIM cards. Connectivity options on the Oppo F3 include Wi-Fi 802.11 a/b/g/n, GPS, Bluetooth v4.00, USB OTG, Micro-USB, FM radio, 3G, and 4G (with support for Band 40 used by some LTE networks in India). Sensors on the phone include accelerometer, ambient light sensor, compass/ magnetometer, gyroscope, proximity sensor, and fingerprint sensor. 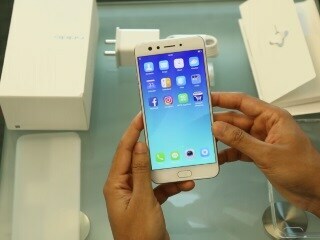 The Oppo F3 measures 153.30 x 75.20 x 7.30mm (height x width x thickness) and weighs 153.00 grams. It was launched in Gold and Black colours. As of 21st April 2019, Oppo F3 price in India starts at Rs. 16,000.